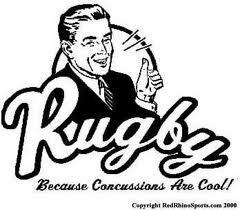 Not before time, it appears that the IRB are in the final stages of putting together a "robust" set of guidelines to tackle the ever increasing problem of on-field concussion. That’s all very well, but I understand that a concussion protocol already exists whereby a player who has suffered concussion is not allowed to play or train for a minimum of three weeks unless declared fit to play after appropriate assessment by a "properly qualified and recognised neurological specialist". All of which begs the question of why Eoin Reddan and Kelly Brown, both knocked completely sparko last weekend, have been selected to play for Ireland and Scotland respectively on Saturday. I’ve been concussed on more than one occasion, and there’s no way anyone (recognised neurological specialist or not) can be sure these guys are ready to play again within a week. This was the first thing I thought on hearing the news. I thought that a concussion was 3 weeks minumum and medical teams are usually more cautious when it comes to professional athletes. So both players had a brain MRI scan and were declared fit to play after appropriate assessment by a neurological consultant. I don't see what the issue is. A scan showing swelling, damage or an area of bleeding would mean the consultant would not allow them to play. Presumably this was not the case with either Eoin Reddan or Kelly Brown. It's just that players at lower levels of the game don't normally have access to this level of medical care which is why they typically wait 3 weeks.